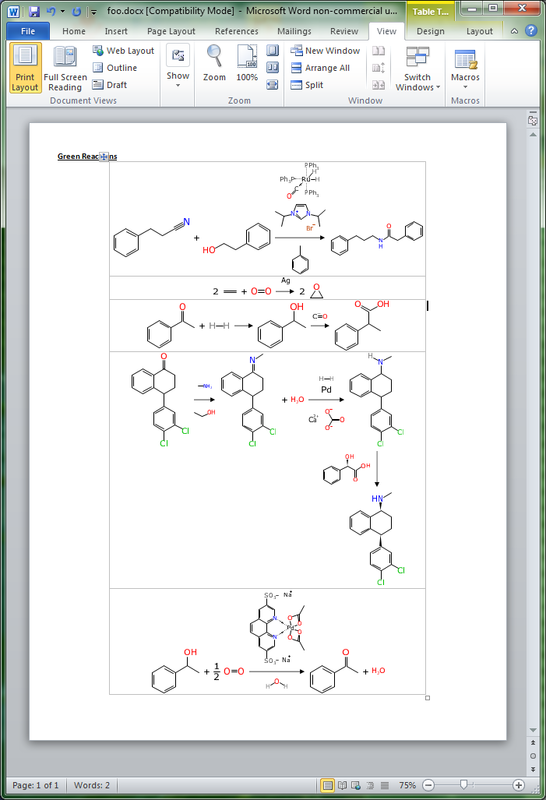 The above diagrams show a screen capture of Microsoft Word on the left, editing a document that was created procedurally by converting the datasheet of green reactions (a default experiment collection in the Green Lab Notebook app) into a DocX file, with embedded vector graphics (using the OOXML graphical markup language dialect). On the right is what happens when you use Word 2010 to export this to a PDF file (see the actual PDF here). 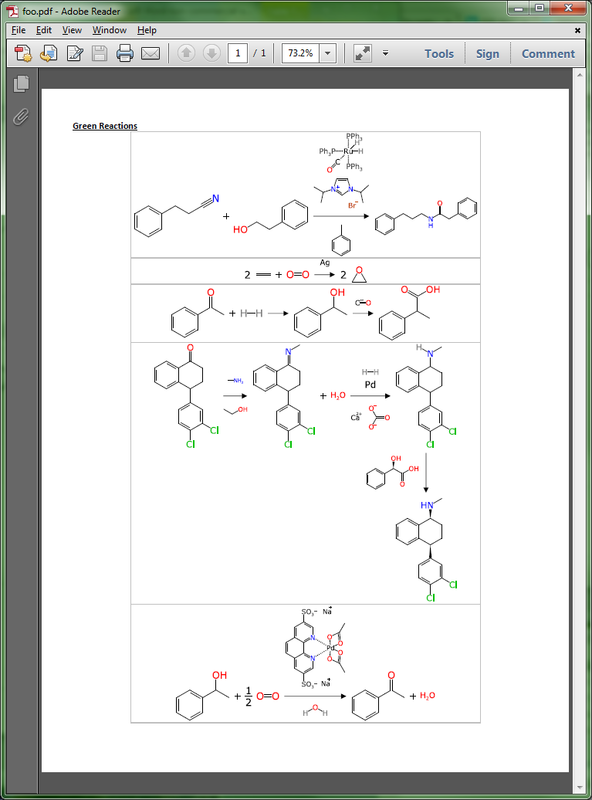 This vector graphics capability will be made available from within the app soon, but it’s just the starting point: currently just the actual reaction scheme is rendered. The intention is to also include all of the rest of the information about the reaction, such as the breakdown of individual components, their quantities and miscellaneous other properties, and calculated green metrics.